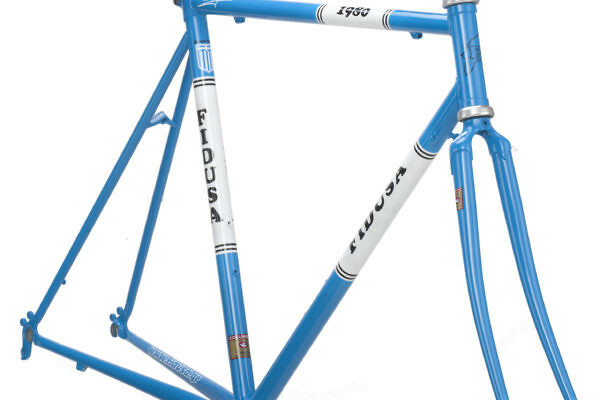 Sascha asked us to build a custom classic lugged steel road frame equipped with Campagnolo components for his daily commute and also for longer weekend trips with friends. 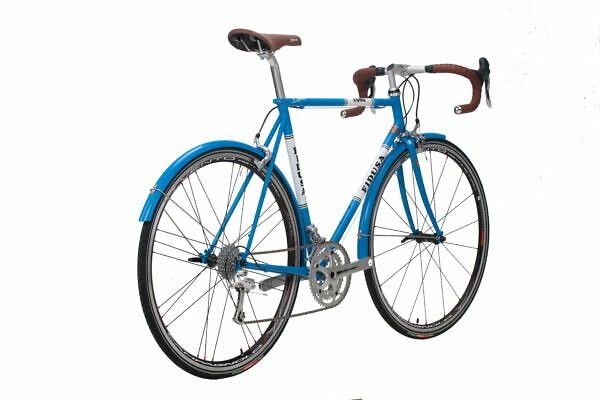 We agreed on a lugged Cro-Mo frame with Columbus SL tubes with eyelets for rack and mudguards painted to match the frame colour. 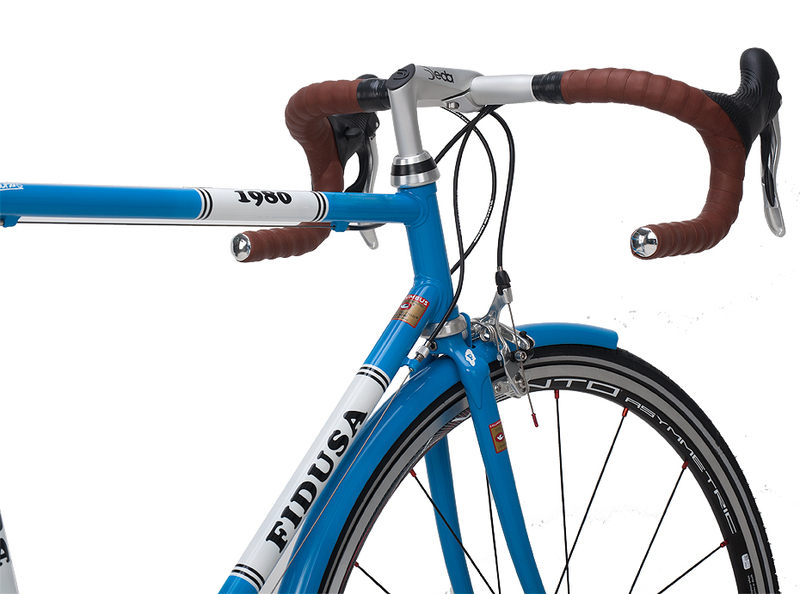 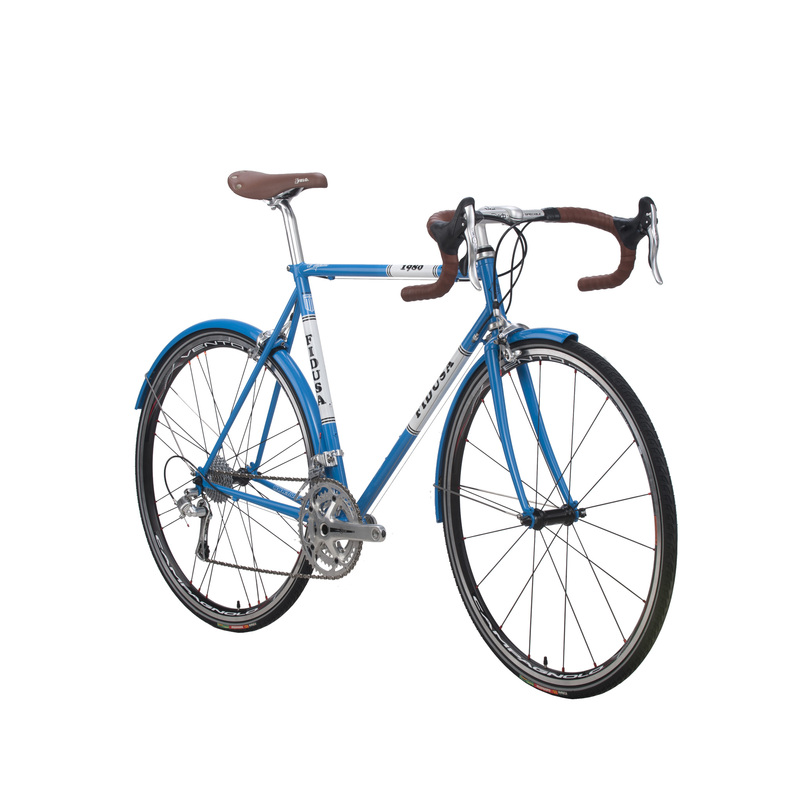 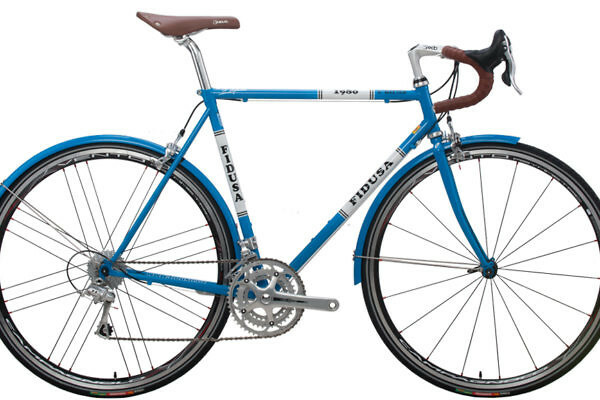 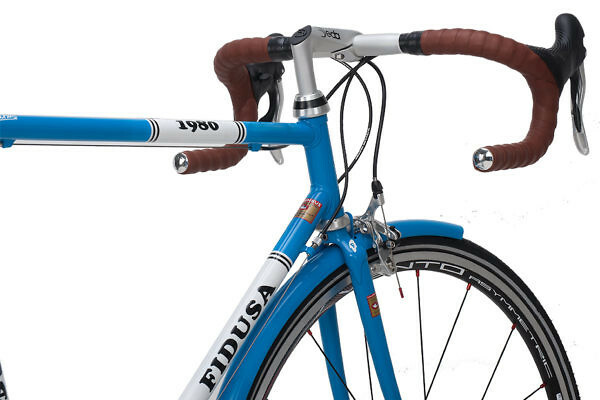 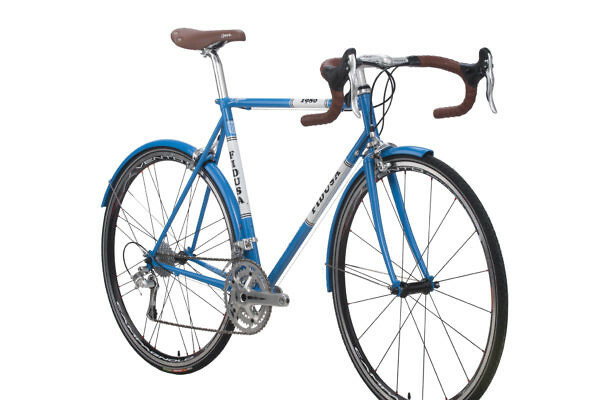 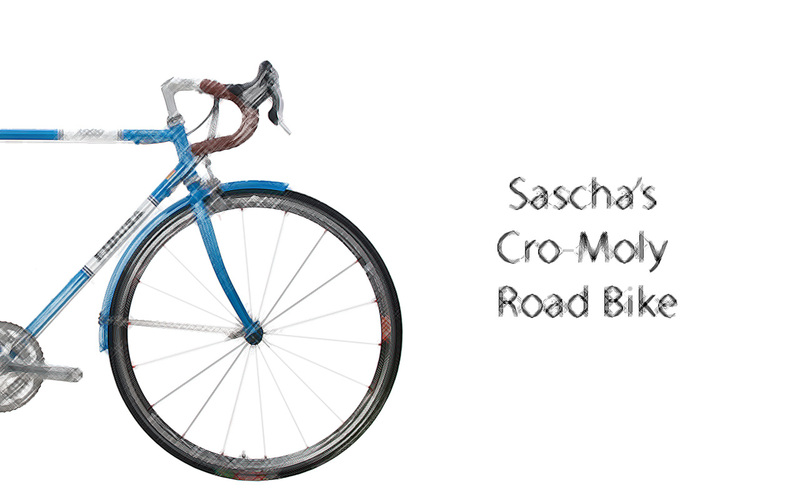 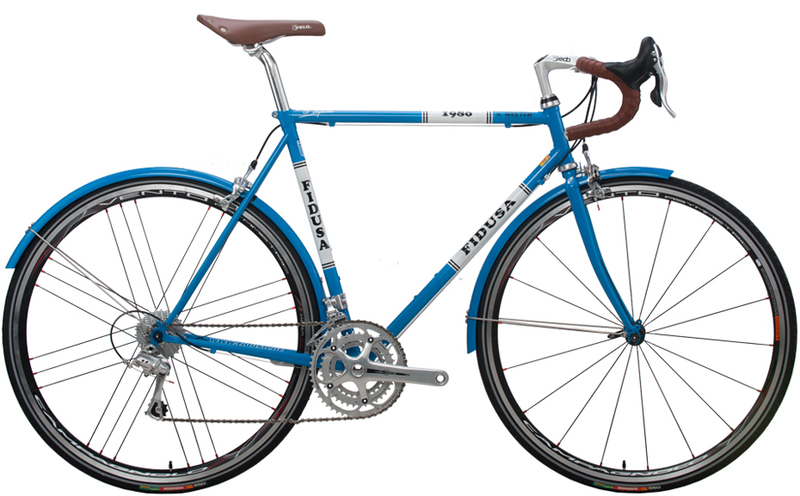 Sascha’s bike is painted in a light blue glossy colour and is assembled with Campagnolo Veloce 2 x 10 speed components. 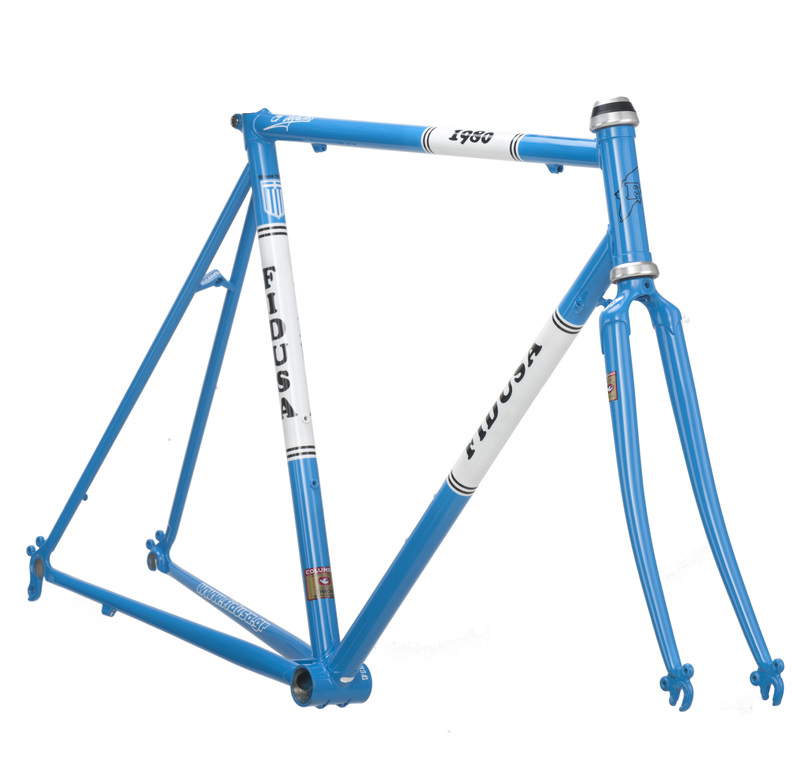 Frame weight (indicative) 1600 gr.